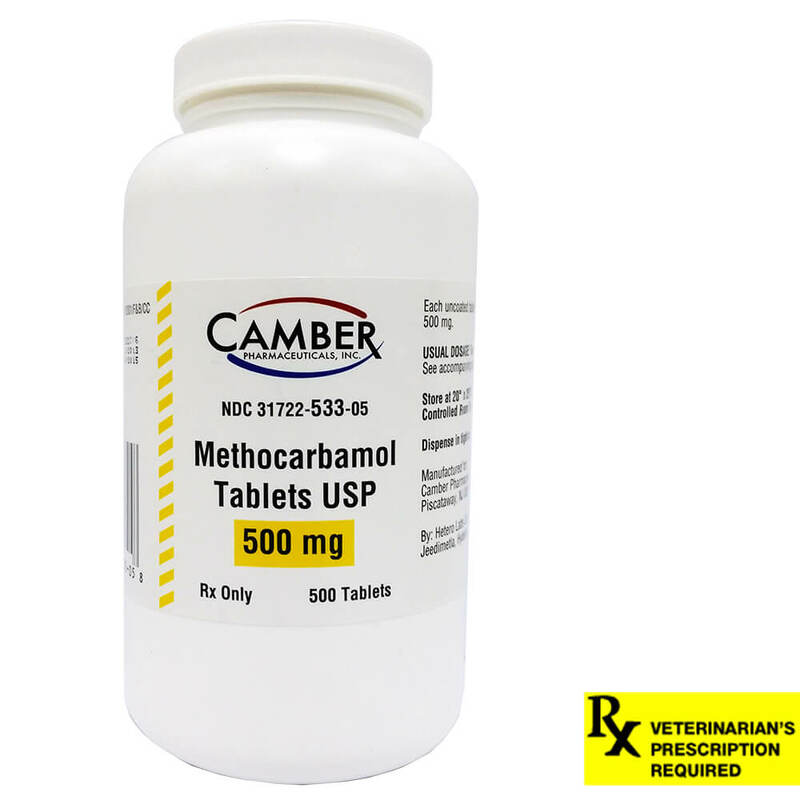 Methocarbamol is a muscle relaxer for the relief of muscle spasms in dogs, cats and horses. 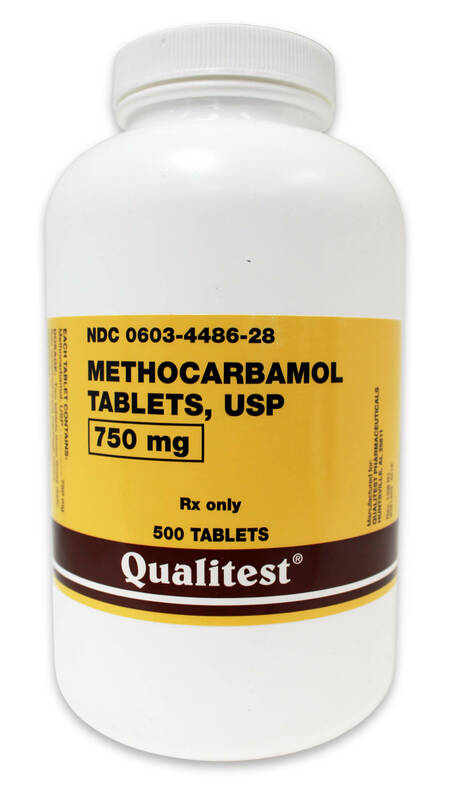 Helps reduce and prevent muscle tremors from various diseases or traumas. Gives muscle support to dogs suffering from a slipped disk and treats cats with permethrin poisoning from ingested dog flea medication. Feed two tablets three times a day. 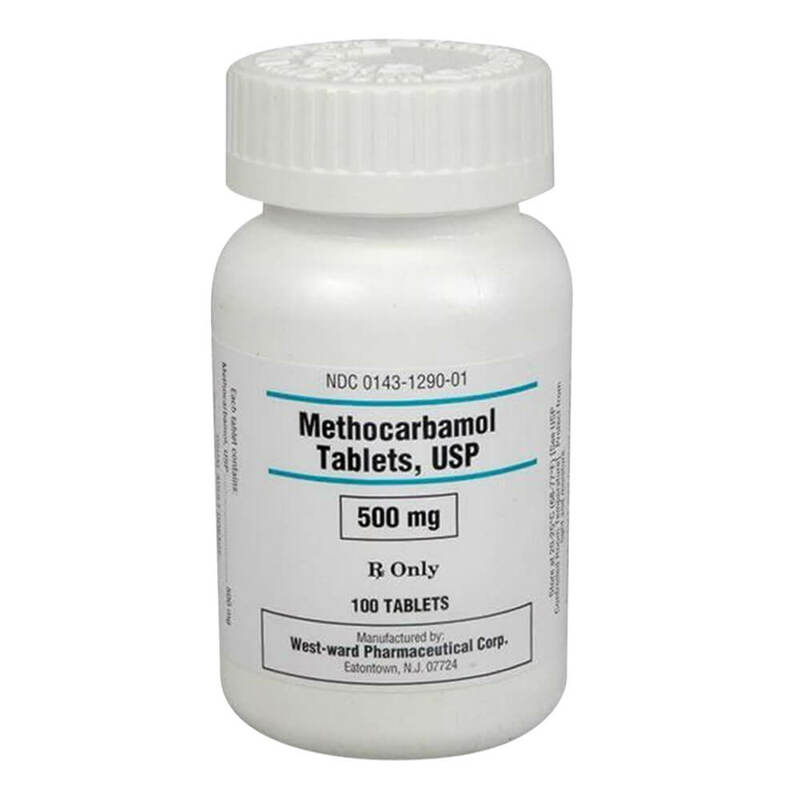 Each tablet contains 500 mg of methocarbamol USP. Keep in tight container. Store at room temperature: 20° to 25°C (68° to 77°F). Manufacturer may vary, to verify current stock please call customer service.